The average rabbit lives between seven and 10 years. But one remarkable specimen is heading toward its 27th birthday. That's so old for a bunny, in fact, that this particular one is also getting a face-lift. We speak, of course, of the Energizer Bunny—the pink, fuzzy mechanical mascot that wears shades, shuffles around in flip-flops and beats a drum. Chances are you've seen it in one or more of the innumerable TV spots that look like ads for something other than batteries—until the needle-scratch moment when the bunny enters the screen, pounding that big drum while the voiceover man extols the batteries that "keep going and going and going." It's all been good fun—and highly successful marketing—for over a generation now. But Energizer has decreed it's time for an update. "He's getting a bit of a makeover," said Michelle Atkinson, chief consumer officer at Energizer. To the over-40 crowd, the Energizer Bunny is second only to Bugs Bunny in terms of recognition. But in recent months, the company conducted a number of focus groups to see if its pink rabbit resonated with millennials. The good new is "he does," Atkinson said. "But they want to see him in a new way, so we transformed him." That was actually a delicate operation. 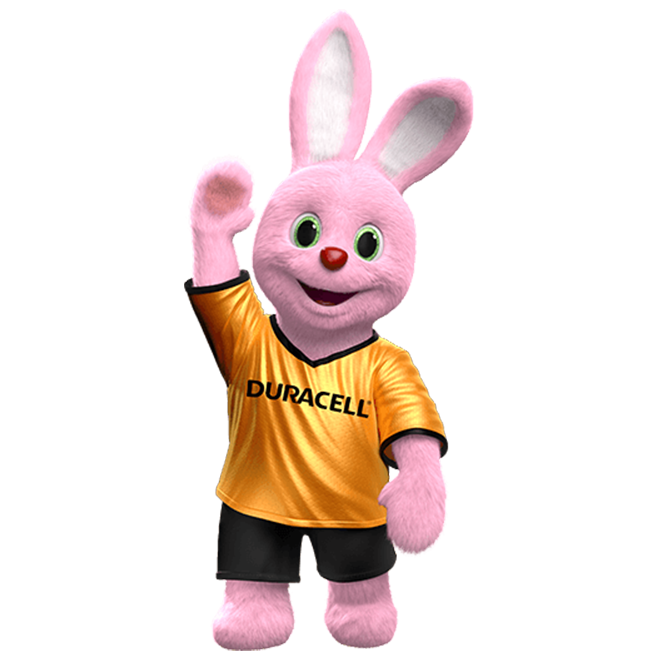 When a brand mascot is as popular as this rabbit is (according to a 2008 survey, the Energizer Bunny enjoys an astonishing 95 percent recognition rate), you need to be careful. Study participants told Energizer not to mess with the bunny's signature accessories—shades, flip-flops, etc. And since this rabbit is essentially wearing nothing to start with, that didn't leave much to tinker with. Energizer has dubbed the makeover effort "Bigger, Better, Bunnier." At press time today, the bunny's new, humanlike moves were scheduled to be on display at New York Fashion Week, where the bunny interrupts designer Angela Simmons' runway show for her new activewear collection by coming out onto the runway. But those outside the white tent needn't fret—chances to see the new hare will abound online. The updated Energizer Bunny will appear in YouTube bumper ads and on Spotify, where the company says he'll "show off his drumming talents." Energizer is also planning a Snapchat lens for later in the year, giving consumers a chance to make themselves look bunnylike. To complement its updated rabbit, Energizer has also tweaked its famous tagline, now shortened to just "Still Going!" The Energizer Bunny was pretty much a hit from the moment it debuted on TV in October 1989 (see video below) and eventually became a cultural icon. It's been spoofed on Saturday Night Live, evoked in presidential stump speeches and made into a float for the Macy's Thanksgiving Day Parade. That track record did not stop Energizer from giving the heave-ho to TBWA\Chiat\Day last fall, though it was that agency's creative work that made the bunny a star. Given the branding clutter that abounds in the marketplace, lucky is the brand that has a recognizable mascot, let alone one that's served it for so long. Earlier this year, you might recall, B&G Foods hired Deutsch to give to the famous Green Giant, familiar to shoppers since 1928, a makeover of its own. In the case of Energizer, "The bunny is the brand," said Hayes Roth, president of brand and marketing firm HA Roth Consulting. "They'd be foolish to give him up—unless there were big, pink bunnies destroying the world." Roth suggests that, despite the bunny's age, it's arguably doing more for Energizer now than it did in the old days. Why? Batteries have become a commodity product, and there's not much of a difference among the leading brands anymore. Which means battery-buying consumers are making decisions based on brand perception alone. And if a fuzzy pink bunny can keep the Energizer name top of mind, it might make all the difference. "We all have a soft feeling for the bunny, and Energizer's been clever in how they've used him," Roth said. "So [the remake] is a smart move, so long as they don't over-reach and put him out of character." There's little risk of that. Atkinson relates that Energizer's focus groups made clear what was OK to change and what wasn't. Take away too much of the bunny's "essence," she said, "and people are going to be upset. There will be a lot of [negative] social-media chatter." There sure would be—and it would keep going and going and going.